We have a form that allows the submitter to upload a document. 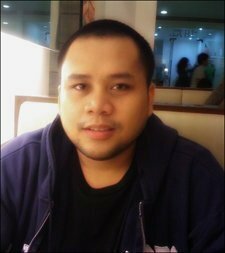 We would like to attach the uploaded file to the AutoResponder email. 2) Submitter receives an email receipt with the uploaded document attached. I understand that this is possible for Notifier Emails to the Form owner. I am specifically requesting it for the Auto Reponder to the Submitter, this was requested in July 2016 - any update? If not, I also request this feature. 2. Go to the Settings page and select the Emails tab. 3. 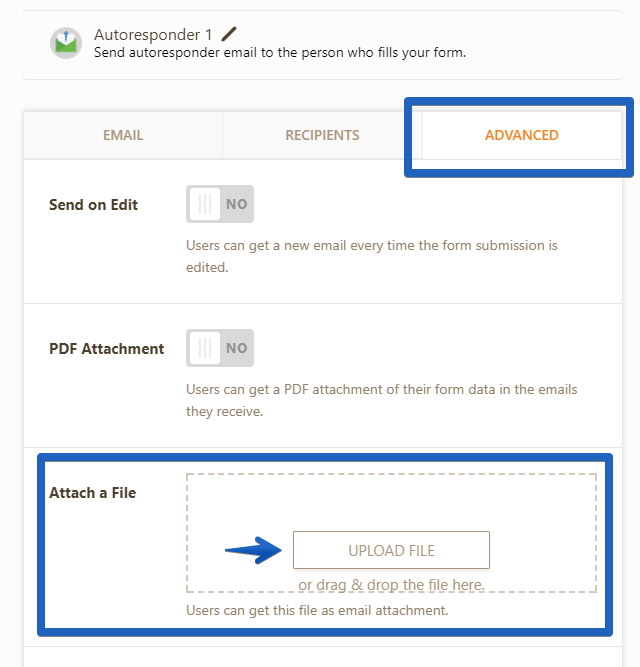 Open the Autoresponder Email, go to the Advanced tab and upload a document in the Attach a File section.